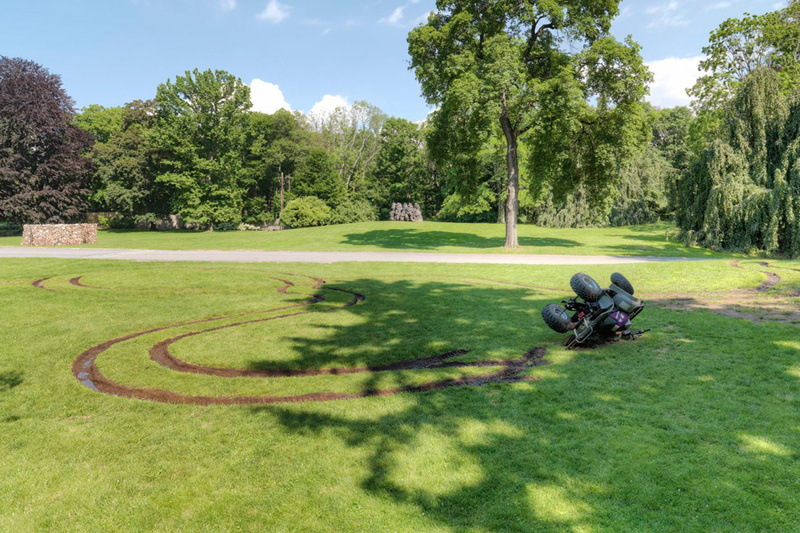 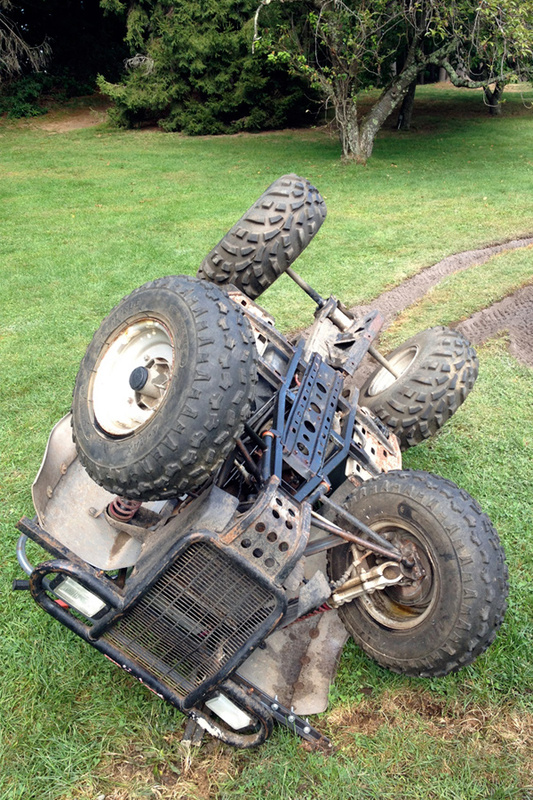 A temporary and site-specific work, 4-Wheeler Rollover was commissioned by the deCordova Sculpture Park and Museum. 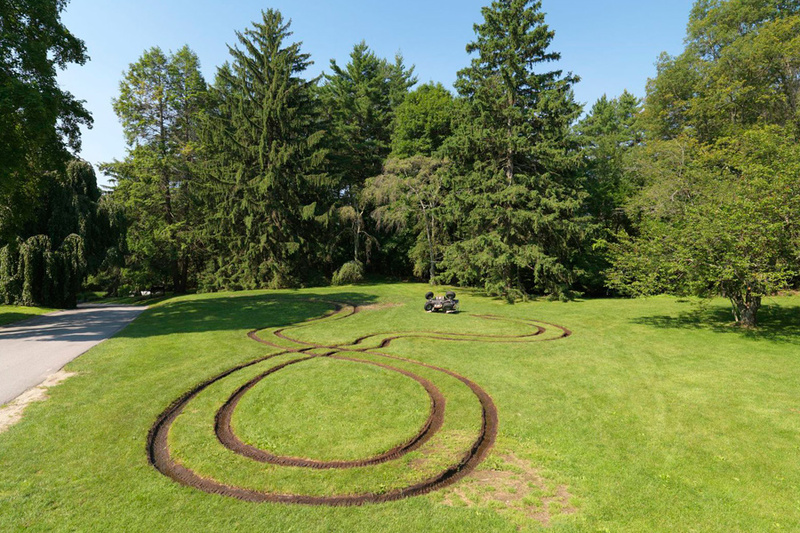 Exhibited from October 2012 – April 2015, the intervention attempts to formalize the fleeting effects of an imaginary joyride through the museum’s meticulous grounds. 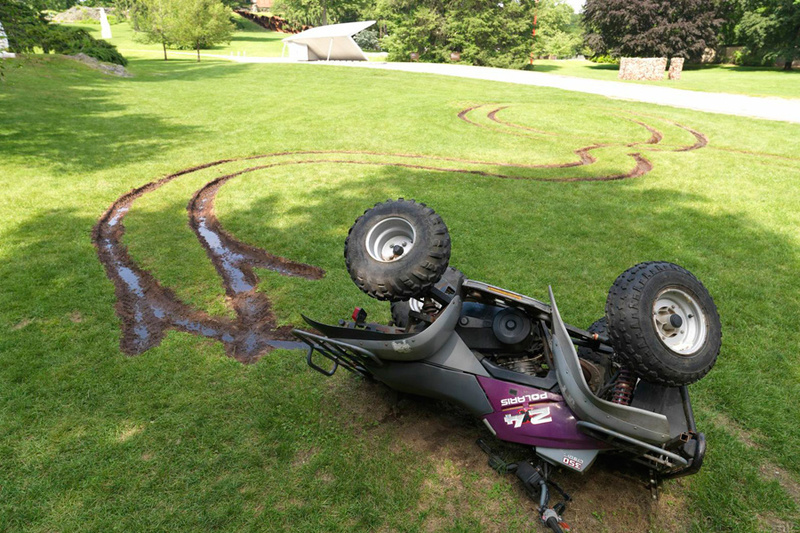 Working with and against the traditions of land art and monumental outdoor sculpture, 4-Wheeler Rollover makes concrete, literally casting in tinted concrete, the ephemeral tracks left by an All-Terrain Vehicle. 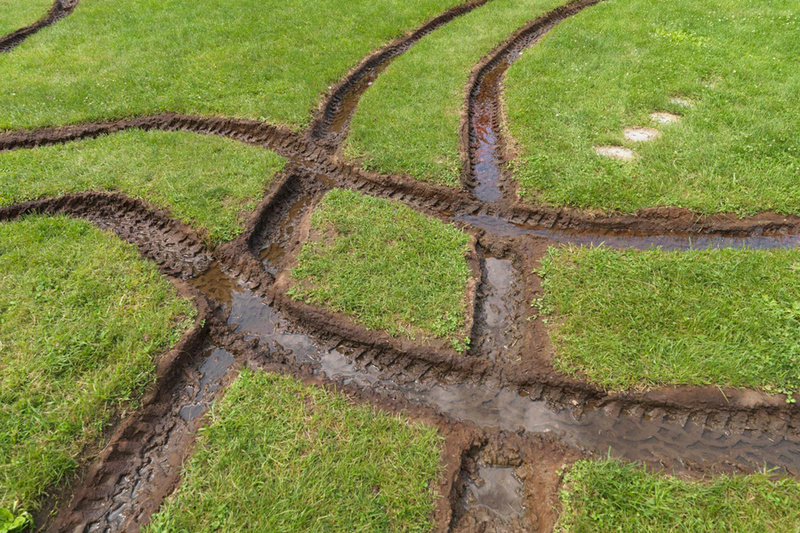 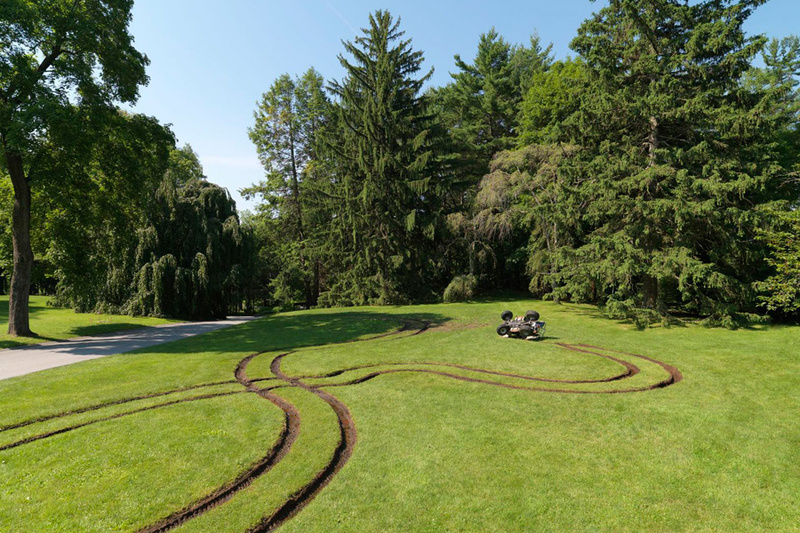 In addition to being forms dug into the ground, the illicit tracks function as a landscape-sized drawing, making the ATV akin to both a sculpting and mark-making device. 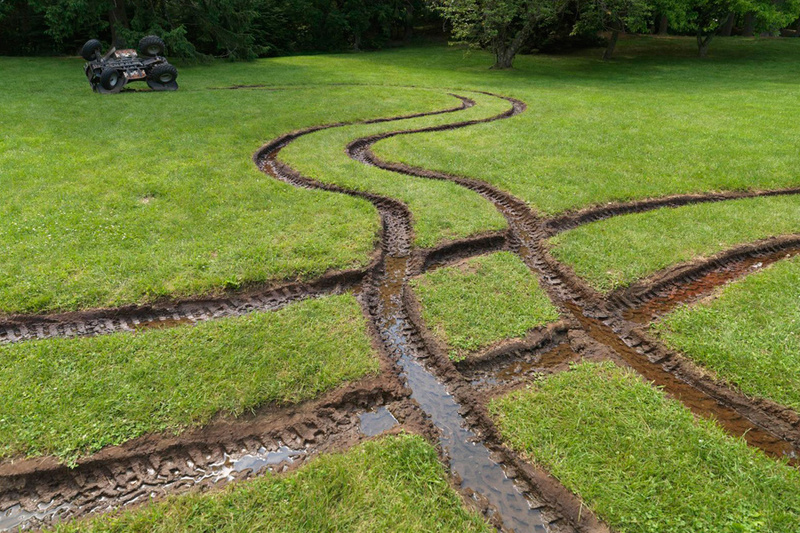 The project deliberately places thrillcraft inside the reserved space of high culture in order to question what gets to count as art and under what circumstances.